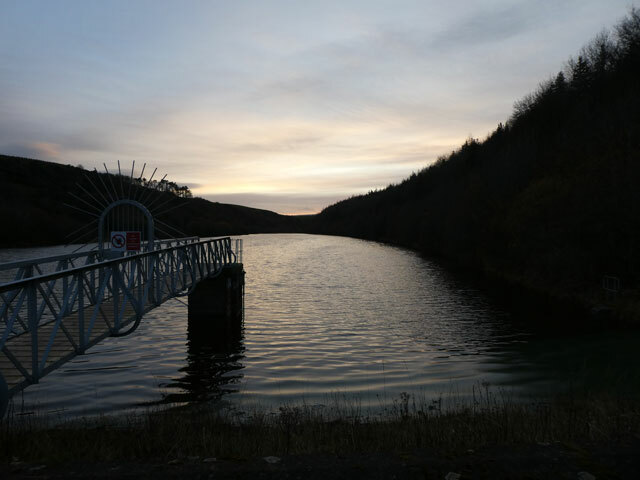 Last week our local paths warden Dave Hapgood, from Snawdon, escorted a group of Garvald walkers on a wonderful walk around both the Donolly reservoir and Danskine loch. The aim of the excursion was to have a look at the state of the paths and to see if any improvements were possible or desirable. In case you are new to the village, the way to reach this walk is to take the bottom road heading west out of the village, sign-posted Carfrae. Just before the road starts to climb up the hill there is a left turn to Garvald Mains Farm, and then about 30m along this road a right-hand track leading to the reservoir. Dave has attached core path signs at various points to show the way. 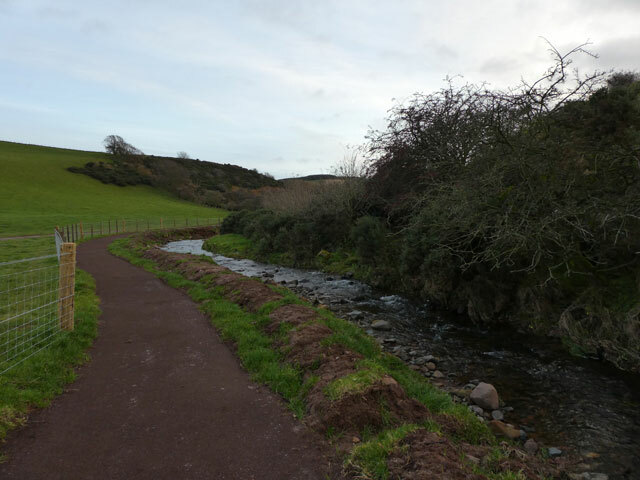 Thanks to Dave’s work in thinning out self-seeded trees there is now a good path right round the Donolly and this makes a very nice circular walk from Garvald. There is a bit of mud on the south side of the reservoir and the path winds around in and out of trees on the north side but it’s a lovely walk, with occasional feathered company. The circle can be completed in approximately one and a half hours. We would like to hear comments from other walkers so please take advantage of the mild autumn weather and report back via the website. A core path leads from the west end of the Donolly through a very muddy field, across the road and then around the Danskine loch. It is then possible to walk on core paths all the way to Gifford. The path round Danskine loch is good, but the intervening muddy field presents a bit of an obstacle. We would be keen to hear any creative suggestions about how to improve this part of the path. So, dig out your boots, your camera and go walking, but don’t forget the chocolate biscuits like we did! This entry was posted in Announcements, Community Council, Nature News on November 19, 2018 by Admin. Last year, the Garvald to Gifford core path (236) between Garvald Mains and the Donolly reservoir was upgraded, with fences installed to separate the path from the fields in which cattle graze and a bridge built to replace the ford across the Papana water. Also, the path along the embankment on the NW side of the Donolly was cleared and although it is not to the same standard as the core path (220) on the SE side, it is now possible for a reasonably agile person to do a circuit of the reservoir. However, it is still fairly difficult to walk in a couple of places where trees are growing on the embankment and at the South-West end where the embankment has been washed away. 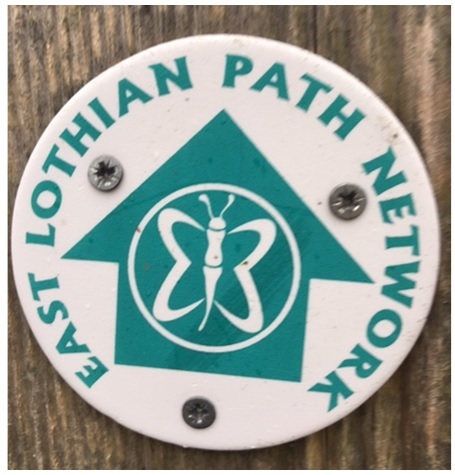 If you are interesting in regularly using this walk and would like further improvements to be made to the path, please get in touch using the contact form so that we can inform the East Lothian Countryside Volunteer Path Wardens. If there is enough interest from the community, then it might be possible to arrange for improvements made to this section of the walk. Thank you. This entry was posted in East Lothian Ranger Service, Nature News on August 2, 2018 by Admin. 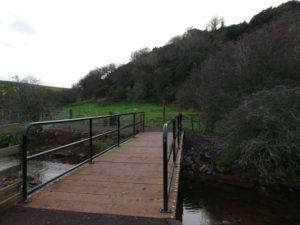 The Core Path from Garvald up to the Donolly Reservoir, accessed by the road up to Garvald Mains, has been upgraded with new gates, a bridge over the burn and the whole path is fenced off from the rest of the cattle field. It’s a bit muddy in sections so wellies or walking boots are required at this time of year, but much of the path has been upgraded with fresh hard-core. The route to the reservoir and back makes an nice hour’s stroll for the whole family, or you can walk all the way to Gifford. More information about the route to Gifford can found in the updated Garvald to Gifford path leaflet. This entry was posted in Announcements, Community Council, Nature News on November 25, 2017 by Admin. Sam Ranscombe, Countryside Ranger from East Lothian Council, will be running a river dipping event on Wednesday 9th August 2017 2-3.30pm. Further details on how to book can be found on the ranger service summer activities web page. Booking is essential, the cost is £2. Please select the ‘Gifford’ event during the booking process. This entry was posted in East Lothian Ranger Service, Events, Nature News on July 12, 2017 by Admin. 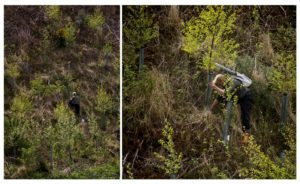 Yesterday on the steep bank of the Papana Burn adjacent to the park in Garvald, the young trees received some annual maintenance work. Approximately fifty individual trees required some attention including the straightening of leaning trees, cutting of some intrusive weeds (e.g. gorse / brambles), replacing dead saplings and repairing damaged tubes and stakes. Photos taken by Graham Barnes. This entry was posted in Community Council, Nature News on April 29, 2017 by Admin. 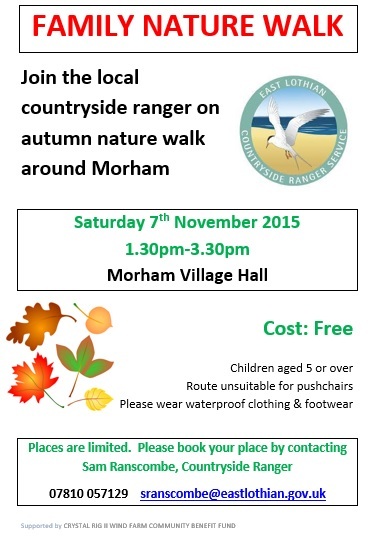 Free Countryside Ranger events coming up! More details on the attached leaflet and they are free events, you don’t need to book – just turn up. This entry was posted in Events, Nature News on August 24, 2016 by Admin. 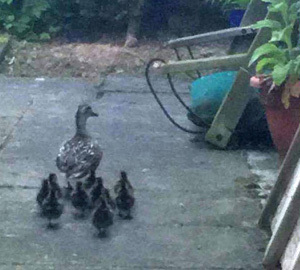 A mother duck and her lovely ducklings have been spotted in Garvald’s streets and gardens. Please let them visit us safely, give them some space to explore and try not to let your pets worry them. Thank you. This entry was posted in Nature News on June 23, 2016 by Admin. There is now a Core Path Network route from Garvald to Gifford. 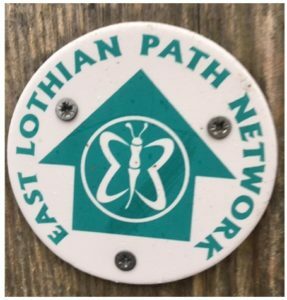 Click here for a useful path description for this walk, provided by the East Lothian Volunteer Path Wardens. This entry was posted in Announcements, Nature News on January 19, 2016 by Admin. 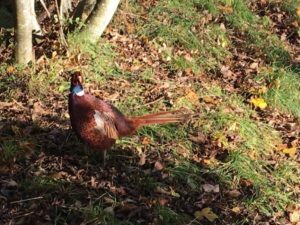 “I currently receive ‘Scottish Wildlife’ from Scottish Wildlife Trust, which is published three times each year as well as ‘Natures Home’ from the RSPB, which has a Scotland News supplement and is published quarterly. 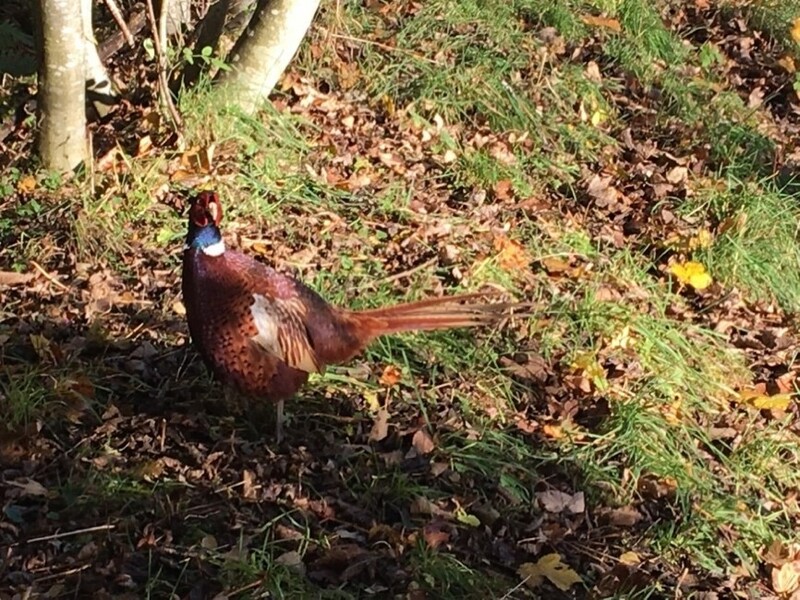 Instead of ultimately consigning them to the recycling box, if there is anyone in the village or nearby who is interested, or might be starting out in learning about our wildlife, you would be welcome to have a look at them. I would be pleased to pass them, after having had a good read myself of course! This entry was posted in Nature News on October 17, 2015 by KM. This entry was posted in Events, Nature News on September 29, 2015 by Admin.